It’s like found money! 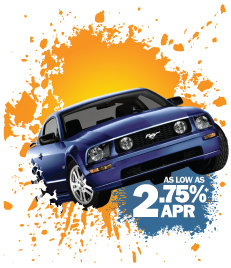 When you refinance your car with LMCU, not only could you save money over the long haul with a low 2.75% APR loan, but you’ll also get a $150 Visa gift card. And it’s easy! Just bring your title and proof of insurance into any branch or call our loan switch hotline at (616 or 800) 242-9790 Ext. 9944. We’ll let you know if we can save you money on your monthly payment in short order. Just fill out a brief application form to switch your existing loan to LMCU from another lender. Then watch for your $150 Visa gift card in the mail. Seriously, has it ever been easier to get $150? For more information, call (616 or 800) 242-9790, ext. 9944, or visit any branch location. Your APR may be different based on your credit and other qualifications. Loan amount must exceed $10,000 and be from another financial institution. Offer ends 8/31/14.